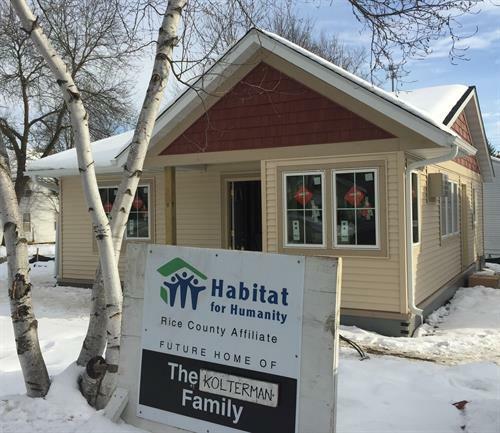 Rice County Habitat for Humanity partners with families who otherwise may be unable to achieve the dream of home ownership by establishing partnerships among God's people to build simple, decent and affordable homes. VOLUNTEER - give of your time and energy by volunteering at a build site, joining our Board of Directors, providing a meal for volunteers or helping around our office. DONATE - as a small nonprofit, we rely on the donations from our community to continue our work. Donations of all size are welcomed! ADVOCATE - spread the word about what Habitat is doing in your community or circle of influence.